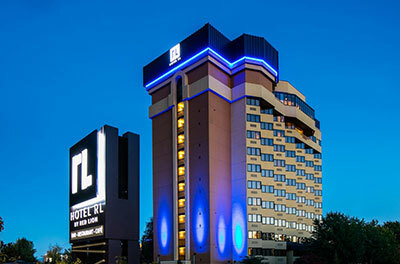 Worthy Hotels Inc. has just announced the purchase of the Hotel RL Spokane at the Park in downtown Spokane. Effective today, July 17, Worthy Hotels Inc. will assume management and operation of the Hotel RL Spokane at the Park. The hotel was purchased for an undisclosed price and will be rebranded as an independent hotel with a new name: The Centennial Hotel Spokane. With 401 rooms, the Centennial Hotel features a restaurant and lounge, 30,000-square-feet of flexible meeting space, seasonal outdoor pool with cascading waterfall and waterslide as well as a year-round indoor pool and whirlpool. "One of the best things Spokane has done is developed its beautiful riverbank allowing guests to enjoy this amazing built-in asset, the Spokane River. I am pleased to now be part of that growing community along the river with the purchase of this hotel. Karen and I look forward to enhancing that experience now and into the future," said Walt Worthy, CEO of Worthy Hotels Inc. Owner and operator of Davenport Hotels, Worthy Hotels Inc. started with the purchase and complete restoration of the Historic Davenport Hotel in 2000. Worthy Hotels Inc. has grown from one hotel in 2000 to now five hotels in 2018. All five hotels are located in downtown Spokane.